I've very few postcards on show at home. The vast majority are filed away in albums and shoeboxes. Deliberately, they lie out of the reach of sunlight, and beyond the chance of accidents. There is the odd exception, however. 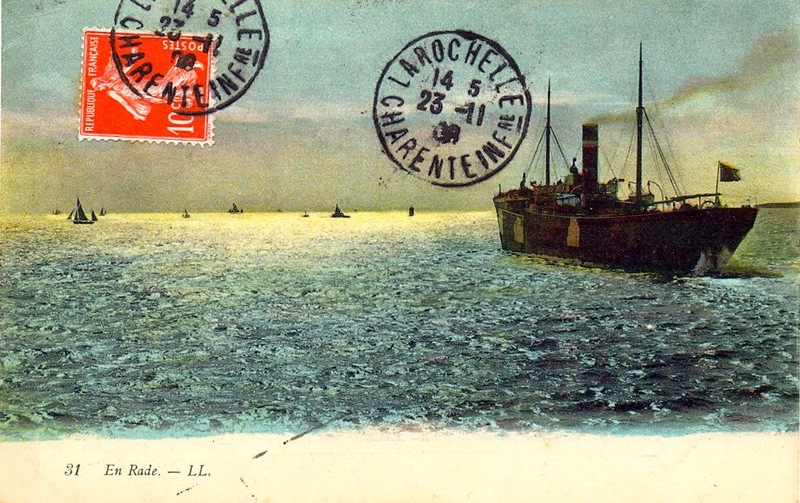 I keep this card - sent in 1908 from the French port of La Rochelle - in a clear perspex block on the top shelf of a bookcase. Like many postcard collectors, I’ve a soft spot for cards published by Léon & Lévy (or "LL"). Their format is reliably appealing: a standard framing of image and title, a shadowy photograph, and the familiar LL font. But here, what makes the postcard is how the sender has enhanced the publisher’s efforts. 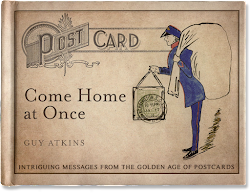 During the Golden Age of postcards before World War One, it was forbidden in Britain to put a stamp on the front of a card. In France, it was common practice. Above, the stamp completes the picture. On its side, an inch above the horizon, it takes the place of the sun.